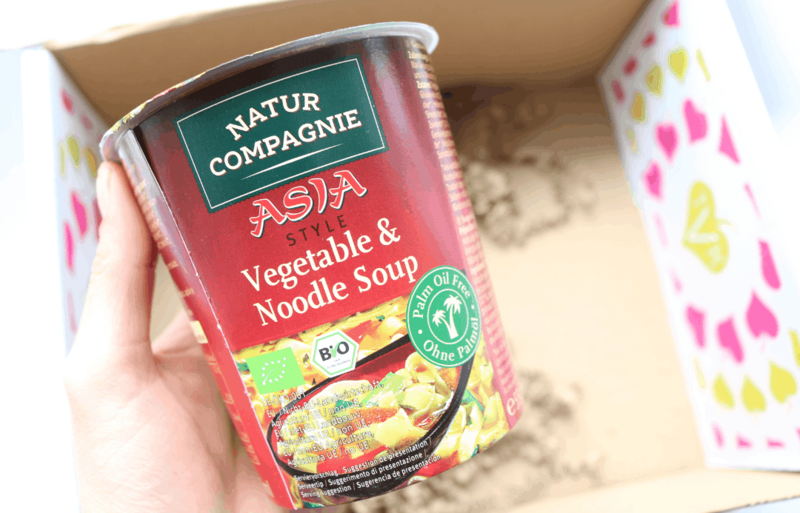 The Vegan Kind is one of my favourite foodie subscription boxes because it always contains new and exciting products that I really enjoy trying out! 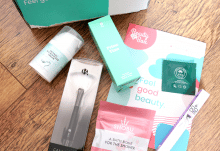 As the name suggests, everything is 100% vegan and cruelty-free, and you’ll receive a surprise selection of 5-8 products from a variety of categories such as food, drink, toiletries, household, lifestyle and more. 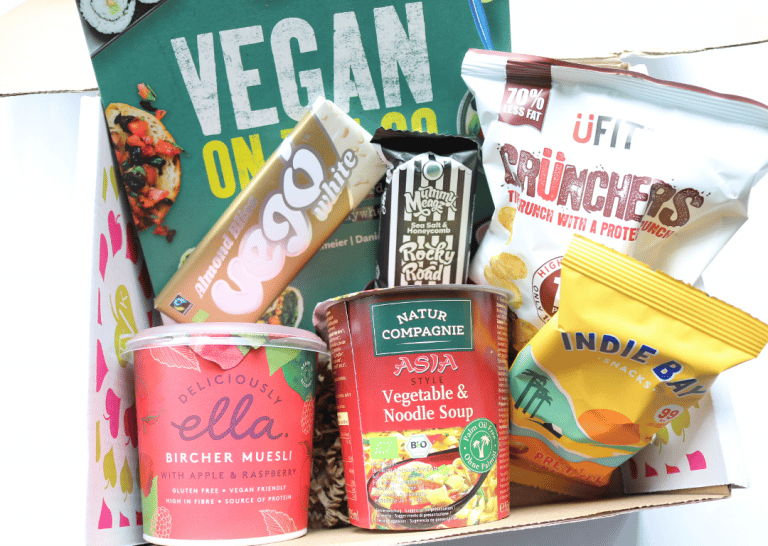 Whether you’re currently vegan, are wanting to become vegan or are simply interested to try out some delicious plant-based goodies, The Vegan Kind offers great value for money and is a fun way to be introduced to brands that you may not have come across before. 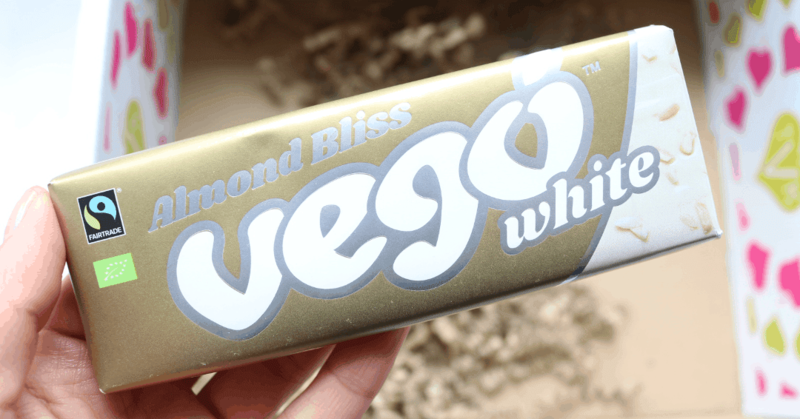 Brand new from the popular brand Vego, is this exciting release called Vego White Almond Bliss, and oh my, it is amazing! This chocolate is so creamy that you wouldn’t even realise that it’s made without dairy and it has a good amount of Almonds included for a tasty nutty fix too. Made with organic and fairtrade ingredients, this bar is also gluten-free and free from palm oil – yay! 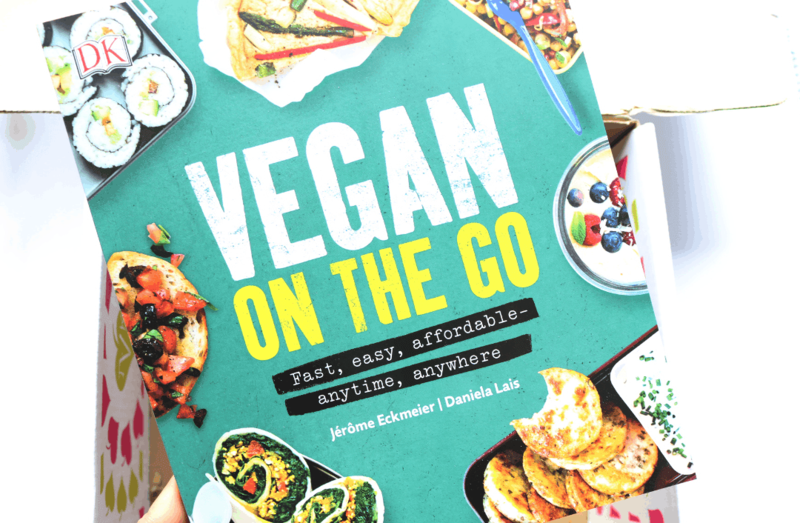 If you’re new to veganism or just want some quick and easy meal and snack ideas, this book brings together a collection of delicious recipes that you can take to work or school, or eat on the go when you’re out and about. There are recipes for burgers, soups, salads, wraps and sweets to name but a few, so there’s something to please everyone. This is a healthier version of the snack pots that you often see in the supermarkets, but it’s still super quick and easy to prepare for when you need something filling and fast! Simply add hot water, wait for 4 minutes and it’s done. Perfect for work or at home when you have no time to cook. 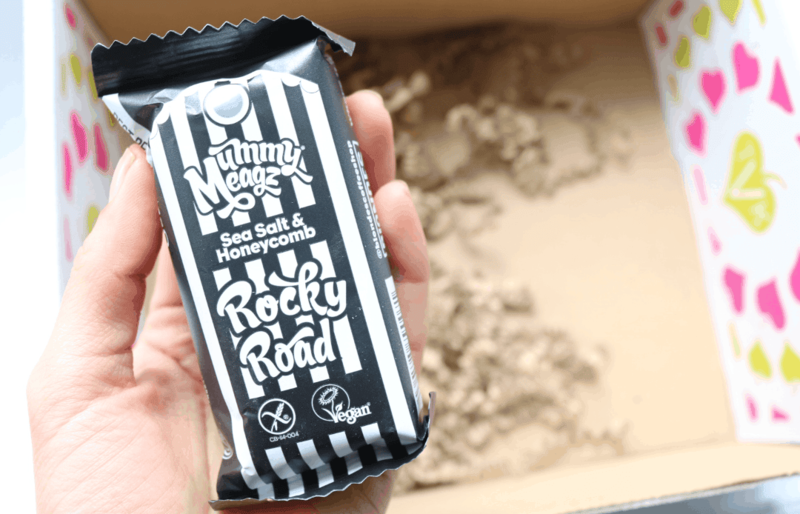 Another new product, this time from Mummy Meagz, this new creation comprises of a thick and chunky bar of Rocky Road with smooth Belgian chocolate, crunchy biscuit pieces, sweet marshmallows and vegan honeycomb. It’s a real sweet treat and something that I’d definitely buy again! 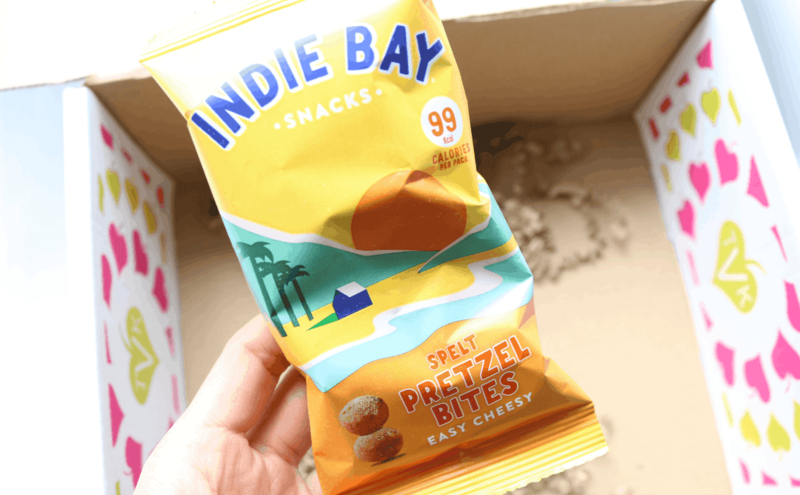 New from Indie Bay are these Easy Cheesy Pretzel Bites which are the latest flavour to be added to their growing snack range. These crunchy little bites are made with Spelt and are generously coated in a vegan-friendly cheesy flavour which makes them very tasty and moreish! 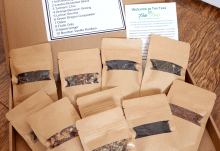 Ideal to have in your handbag or in the car when you want a snack on the go. I’m a huge fan of Deliciously Ella (I have all of her cookbooks!) 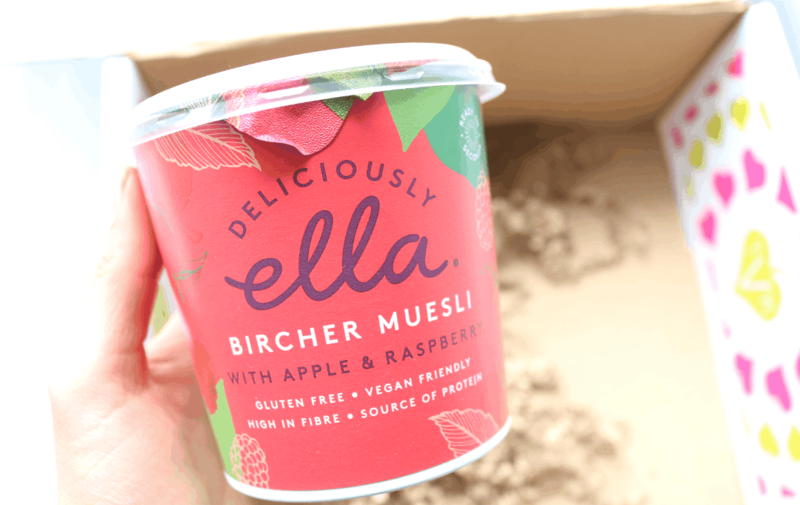 and these Bircher Museli pots are another easy and convenient product to take to work or school for a healthy breakfast option. They’re gluten-free, high in fibre and contain a source of protein to help you feel full for longer. Just add your favourite plant milk and enjoy. 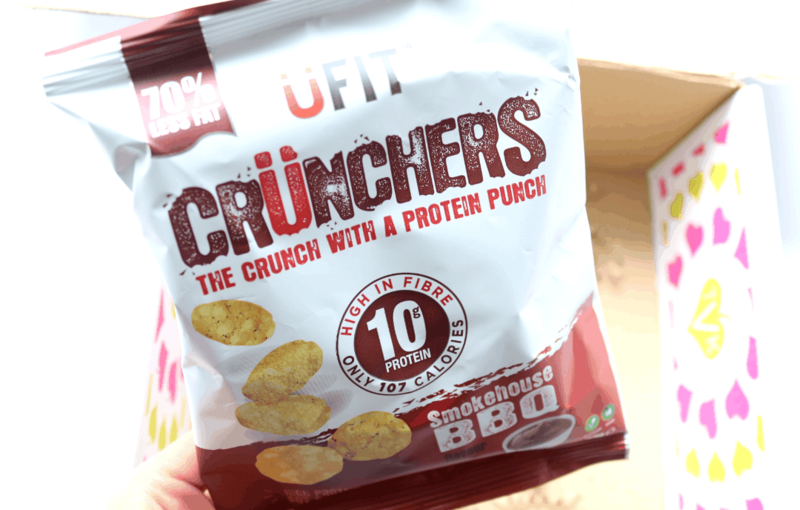 Finally, the last product in this month’s The Vegan Kind Box is a bag of UFIT Crunchers in a savoury Smokehouse BBQ flavour. At only 107 calories per bag, these crunchies are high in fibre and have 10g of plant-based protein, with 70% less fat than traditional crisps. 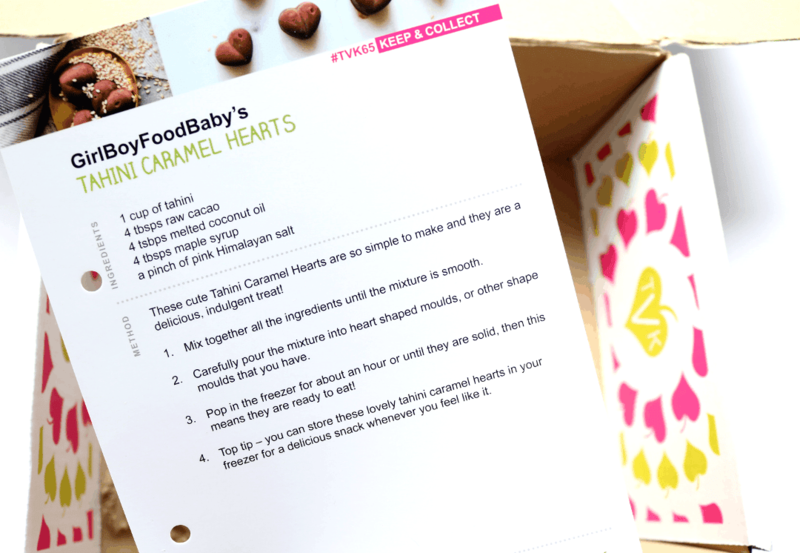 At the bottom of the box, I found March’s recipe which is for Tahini Caramel Hearts – yum! 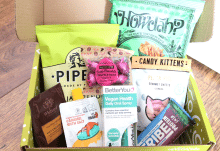 A great box from The Vegan Kind this month with lots of new and exciting products to try!